The Caprivi Strip is a narrow strip of land in the far northeast of Namibia, about 400 kilometers long. The East Caprivi bordered by the Kwando, Linyanti, Chobe and Zambezi Rivers is a region of swamps and flood plains. It was obtained from Great Britain by Germany in 1890 to give German South West Africa (now Namibia) access to the Zambezi River west of Victoria Falls. The Caprivi is the wettest region in Namibia with its high rainfall and a number of major rivers like the Okavango, Kwando and Zambezi; all of them originating from Angola and draining an enormous area. There are also some smaller rivers like the Linyanti and the Chobe. Wildlife is typical of central Africa rather than southern Africa. It includes African buffalo, elephant, hippo,lion, kudu, buffalo, leopard, bush pig, duiker, warthog, black-backed jackal, common impala, red lechwe, roan, sable, sitatunga and tsessebe. Other species include puce, reedbuck and waterbuck, spotted hyaena, crocodile, plains zebra, interesting bird life, tiger fish, catfish, various tilapia fish species. The conservancy is approximately 550,000 acres with a mosaic landscape of woodland and grassland, on the western side of the Caprivi. An average annual rainfall of 600 mm. Bordered by the Kwando River, Mamali National Park on southern border and Mudumu National Park on northern border, the abundance of water in the Caprivi sustains a large variety of animal and bird species.There are no fences, so the animals can roam freely across the borders of the neighboring countries of Botswana and Zambia. Sobbe Conservancy has an area of 404 km2 (98000 acres) and a population of 1,027 people. It is located on border of Mudumu National Park and comprises mostly of Mopani woodlands with a belt of Camel thorn and cluster leave Terminallia running through it. It is a dry area, and thus should be hunted in the wet months for elephant and buffalo. As it is a communal conservancy, there are some villages in the Northern part of the concession, but none in the core hunting area. Best times for elephant are February to early July, and November, and best times for buffalo are February to May and November. Plains game and leopard are best hunted May to November in this area. (Very good roan population). Total package for 14 days for elephant hunting will cost you around $55,000.00. Bwabwata is a national park located in north east Namibia. The park was established in 2007 and has a size of 6,274 square kilometres (2,422 sq mi). 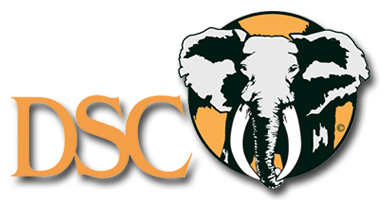 It was created from the Caprivi Game Park and Mahango Game Reserve. Bwabwata is situated in the Zambezi and Kavango regions, extending along the Caprivi Strip. It is bounded by the Okavango River to the west and the Kwando River to the east. Angola lies to the north and Botswana to the south. The area is an important migration route from Botswana to Angola for African elephant and some other game species. It is an unusual Protected Area as about 5,500 people live in the park.